When a certain famous woman named Kimberly revealed her makeup artists’ tricks for her signature sculpted face, the world went wild for contour. Every beauty supply store is swarming with a contour kit from just about every brand, with both powder and cream formulations. The need for the perfect oval shaped face was in high demand. Luckily for those who love a more low-key look, and or never got the hang of the rigorous blending of the contour there is a new trend on the rise for summer. Originating in France as many beauty trends do, strobing was born. For those still wanting the slimming affects that contouring provides, do not fret strobing still creates a chiseled appearance. It concentrates on more of the highlighting and illuminating step normally in contouring to create a dewy, reflective appearance to the skin. Seeing as sunny days are here, this trend is perfectly on point as more natural flawless skin is in. If you aren’t super familiar with highlighting there is a simple way to decide where to place the product. What do you love about your face? For example, you may have a nice set of cheekbones and piercing eyes, in which would be the perfect opportunity to place highlighter on the orbital bones fanning out towards the temples. If you are more of an oily or combination skin type and worried about appearing too shiny, stick to a powder formulation. If you tend to be drier, a cream formulation will leave a dewy appearance, as it sinks into the skin for a longer wear. Don’t be afraid to mix and match both formulations if you are for instance oilier in your T-zone, but drier in your cheek area. 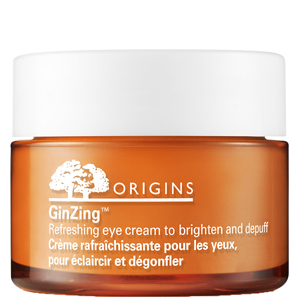 Origins GinZing Eye Cream (Origins $30) – Not only is this eye cream like a cup of coffee for your eyes, but it also has natural optic brighteners, which give off a nice luminescent quality. Great at getting rid of those under eye bags from a long night out, and to brighten any dark circles. 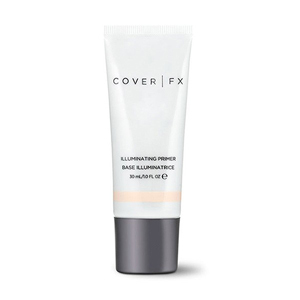 Cover FX Illuminating Primer (CoverFX $38) – One could say this is a skincare product that also enhances the appearance of makeup. Silicone free primer that helps one stay hydrated all day long, with a brightening quality that gives the appearance of younger skin. 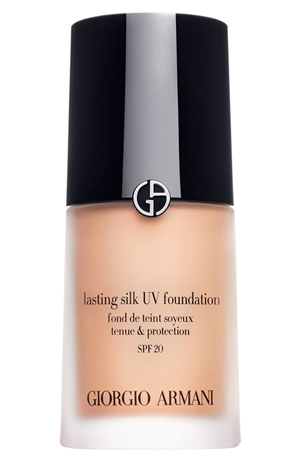 Giorgio Armani Luminous Silk Foundation (Nordstrom $62) – Try as you may to not be frightened by the price, a bottle of this will last forever as a little goes a long way. It has wonderful coverage, while still giving that “I woke up like this” appearance. Best when applied with a beauty blender. 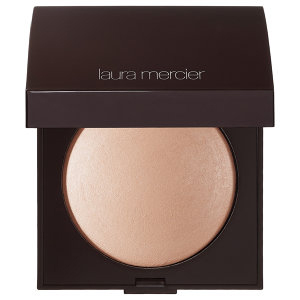 Laura Mercier Baked Radiance Pressed Powder Highlighter (Sephora $38) – The most universally flattering shade on any skin tone, it has both pearl and golden reflective properties. It’s super foolproof, as it looks incredibly natural almost as if you were permanently in perfect lighting. 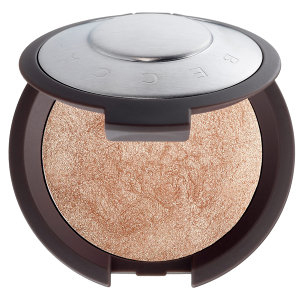 Becca Shimmering Skin Perfector in Opal and Moonshine (Sephora $38) – If you have very dry skin this cream highlight may suit you, and it seeps into the skin for that effortless glow. Think JLo glow, and sold. Both of these colors also come in a mini travel size at Sephora, in the beauty on the fly section for $19. For those of you who are terrified of the “cake face,” Strobing will be your new best friend. 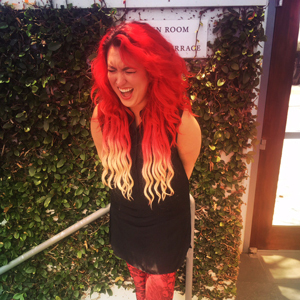 Next Story → Where the Beauty Gurus meet… BeautyCon L.A.